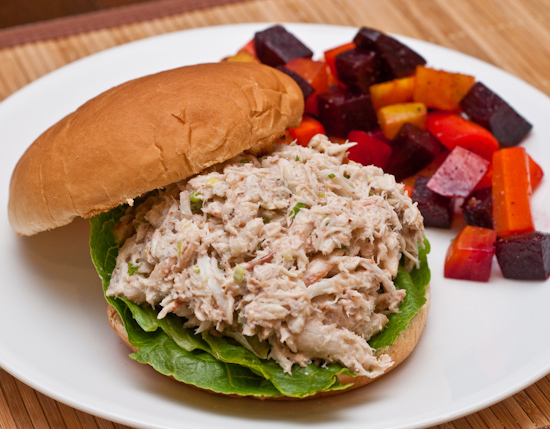 Lunch: I had the rest of the crab salad on a toasted bun with some beet and carrot salad. Dinner: Tina and I did a Crab and Crawfish boil. 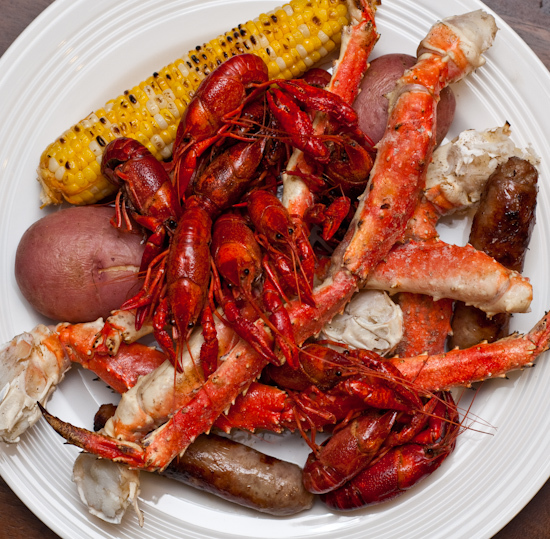 We cooked over a pound of crawfish, two pounds of king crab legs, sweet corn, red potatoes, and a couple sausages. The corn looks grilled instead of boiled. But it's all good. I threw some of the stuff on the grill after boiling… the corn, crab legs (probably won't do that again - dried out a bit), and sausages all spent some time on the grill after boiling. The corn came out a little too spicy (lips were burning).